While mould and mildew can cause health problems, the most dangerous type of mould is Stachybotrys chartarum. You most likely know this one by its more common name, toxic black mould. It’s only natural to be concerned about the presence of this type of mould, but how do you know what you’re dealing with as you go about cleaning the house? You can perform a black mould test at home with one of many available products. However, Brisbane Crime Scene Cleaning want to give you information that you can put to use right now. Are You Sure It’s Mould? Homeowners often ask us about the differences between mould and mildew. Both are common even in the cleanest house, and they can resemble each other. Unless it spreads over large areas, mildew doesn’t usually pose the same health risks as mould. Try this simple test to determine if you have a mould or mildew problem. Mildew is easily removed with a bleach solution or household cleaners, but always be very cautious about attempting mould clean-up until you know exactly what you’re dealing with. All moulds reproduce by releasing microscopic particles into the air. These spores settle on surfaces where they take hold and spread the mould’s growth. Because spores are microorganisms, they’re very easily inhaled. They can also enter the body through the eyes and settle on skin and clothing. While you can see mould growing on walls or floors, it’s impossible to detect airborne spores without taking samples. 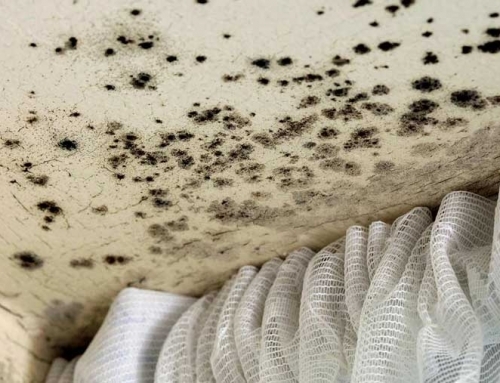 Black mould is considered toxic because its spores contain high concentrations of microbial volatile organic compounds and dangerous mould mycotoxins. The spores often affect people who have allergies or weak immune systems. Children and older adults and are especially vulnerable to airborne microorganisms, but a high concentration of black mould spores can impact people who normally enjoy good health. How Can You Identify Black Mould? Because it can pose such a danger to your health, you want to be able to identify any suspected black mould. While you can use a consumer product to run a black mould test, the samples that you gather must be sent off to confirm what type of mould you’re dealing with. 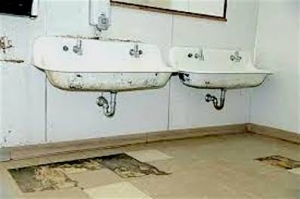 However, black mould does have distinctive characteristics. Whilst Brisbane Crime Scene Cleaning has covered the basics of black mould identifiable characteristics in our post, the only way to know for certain if you have black mould is to have samples taken and sent off for testing. While you can do this yourself, it’s much safer to let a professional service take care of it for you. If you suspect that any mould around the house is toxic, never try to remove it yourself. Because black mould is so dangerous, we strongly advise that you call in a Brisbane Crime Scene Cleaning professional Mould Removal and Remediation technician that handles mould testing in Brisbane and across Queensland. If a toxic black mould problem is identified, your home needs specialised clean-up and mould remediation to eliminate the danger it poses to your health.